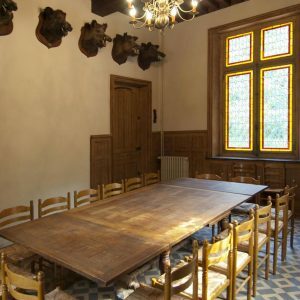 This room is the house’s master room. 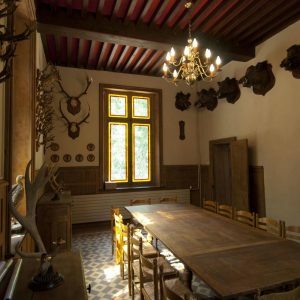 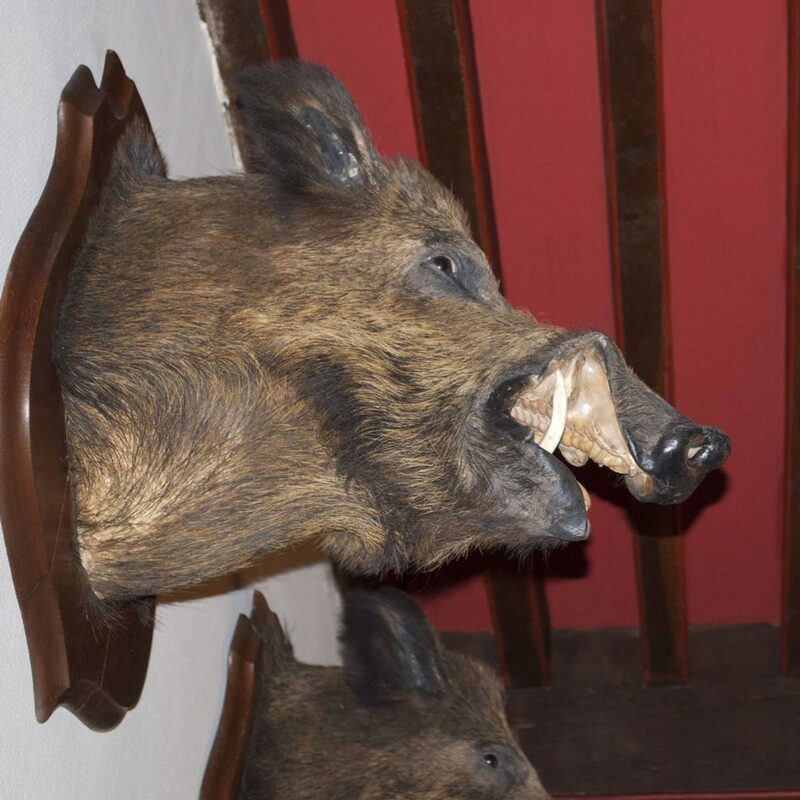 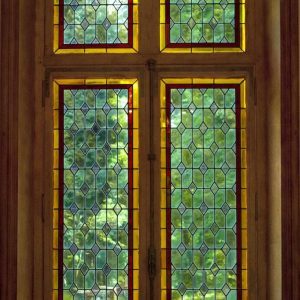 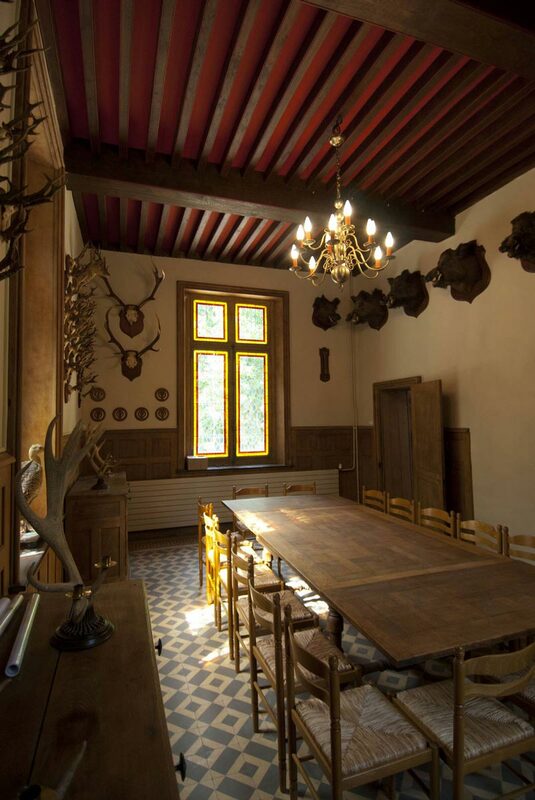 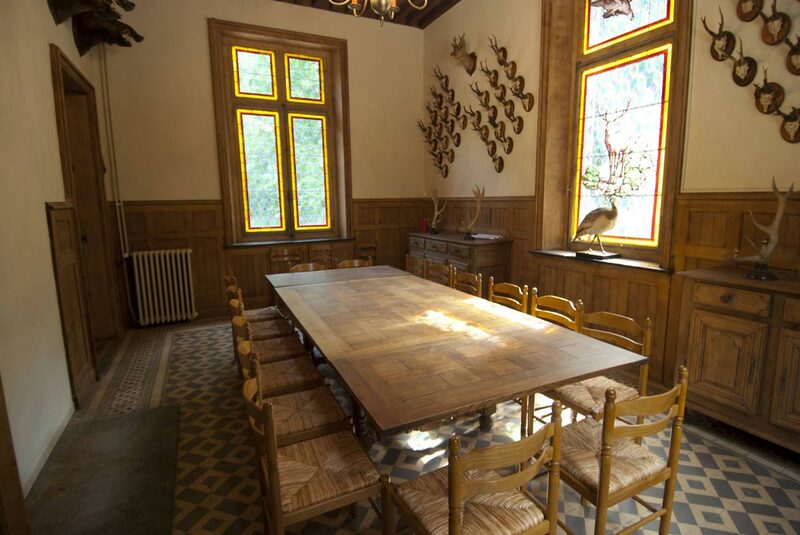 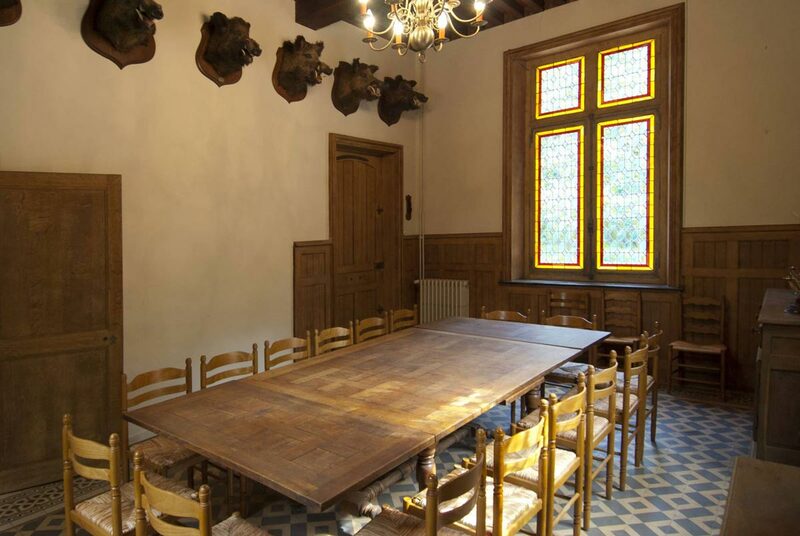 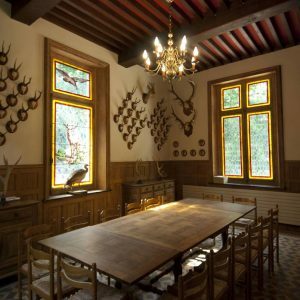 Called la Salle de Chasse (the hunting hall), it is large enough room to welcome 16 guests. 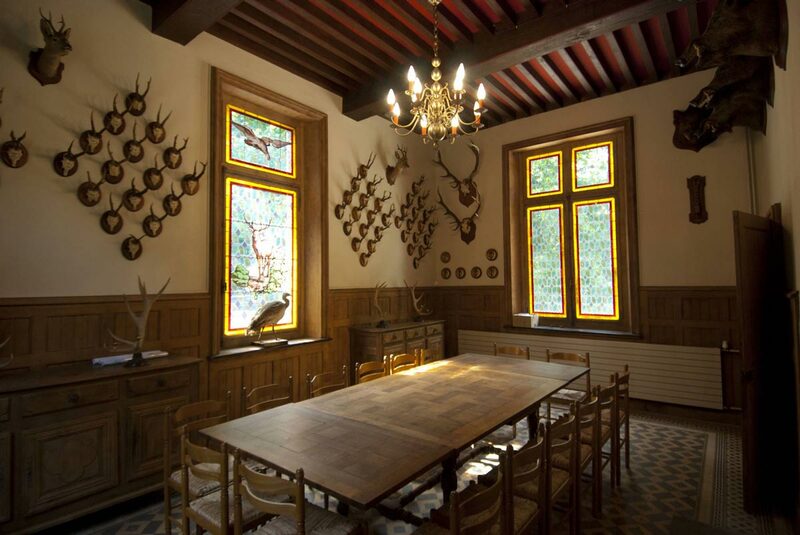 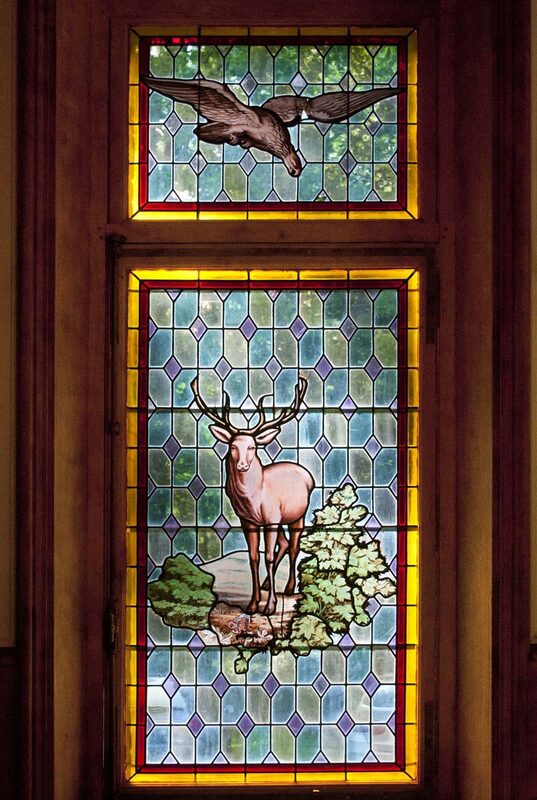 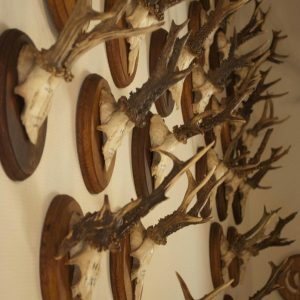 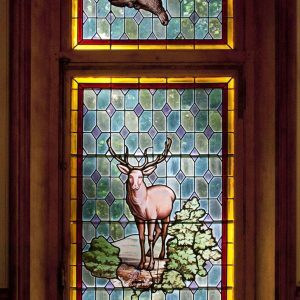 Beneath its superb period ceiling are a collection of hunting trophies and large hunting-themed tainted-glass windows. 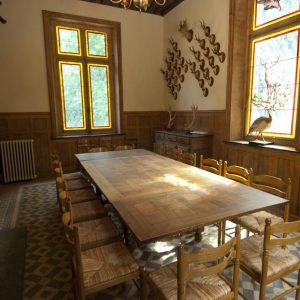 Its woodwork, traditional floor tiling and classic furniture give the Salle de Chasse an authentic character, making it perfect for gathering with friends and family. 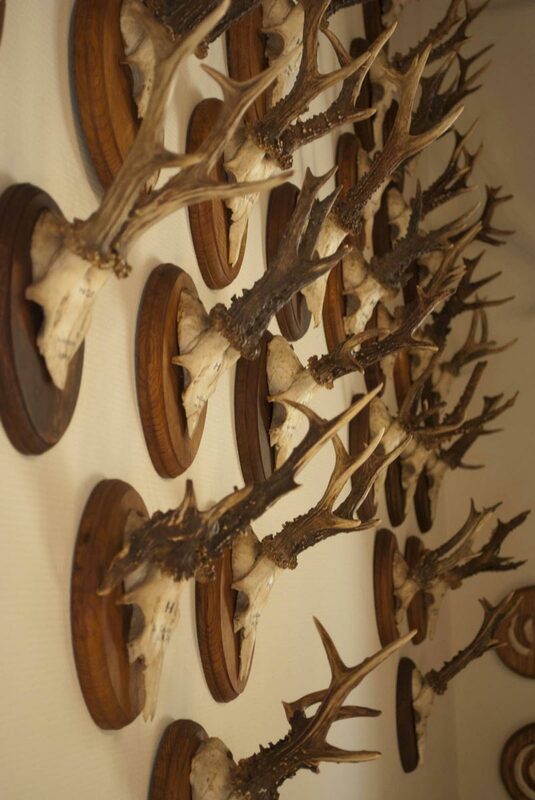 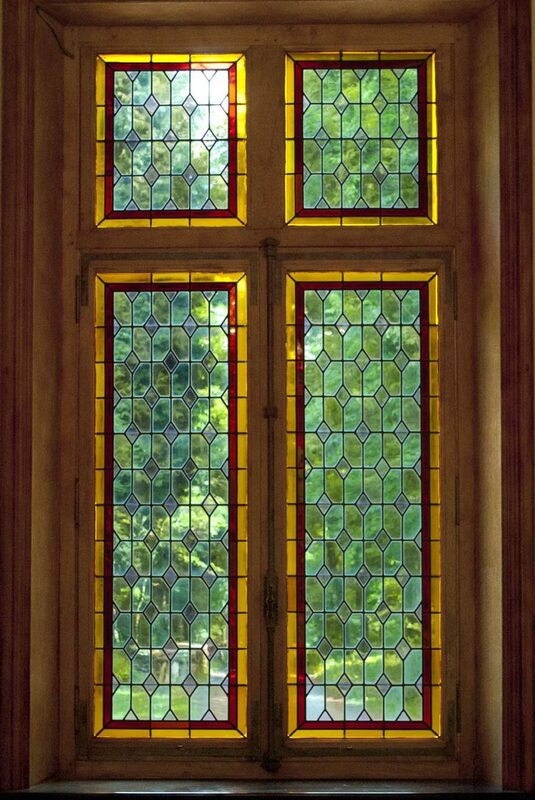 Access to the hunting hall is limited and must be reserved prior to your visit.